Mineola, N.Y. : Dover Publications, 2006.
vi, 165 p. ; 22 cm. A collection of twenty essays and articles from the turn of the twentieth century, appraising, with wisdom and good humor, the prominent figures of the time who fell into the category of heretics. 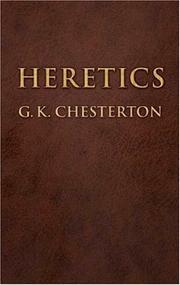 100 Personl Name ME 1 $a Personal name Chesterton, G. K.
$d Dates associated with a name 1874-1936. 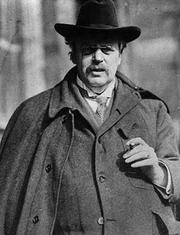 $c Statement of responsibility G.K. Chesterton. 500 General Note $a General note Originally published: New York : John Lane Co., 1905. 520 Summary Etc. $a Summary, etc. note A collection of twenty essays and articles from the turn of the twentieth century, appraising, with wisdom and good humor, the prominent figures of the time who fell into the category of heretics.